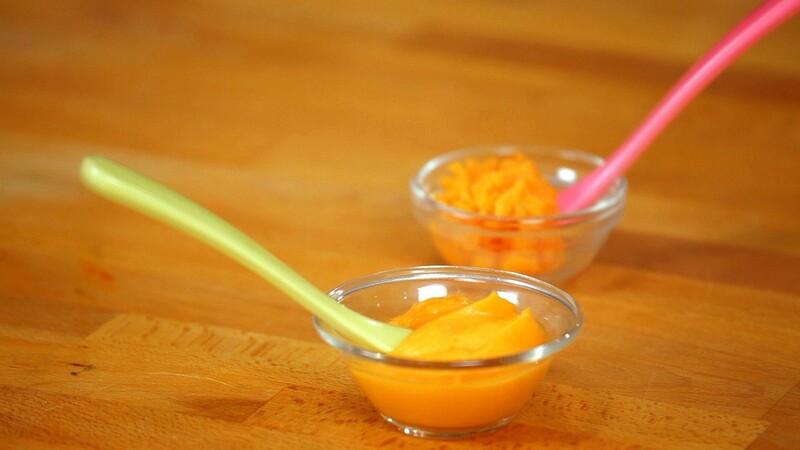 Have you tried sweet potato puree for your baby? Step 1: Peel and cut 3 large sweet potatoes into chunks. Step 2: In a large saucepan, cover potatoes with water. Step 3: Bring to a boil; cook until tender when pierced with a fork, 15 to 20 minutes. Step 4: Drain; puree in food processor. Optional: Puree with a drop of vanilla essence or cinnamon. You may add formula if desired. Unused puree can be added to your toddlers bean porridge! Why is Potato good for your baby? 3. They contain Vitamin D which is critical for immune system and overall health at this time of year. reducing swelling, and protecting and controlling the activity of the kidneys. bloodstream, helping to ensure a balanced and regular source of energy. Note: Never keep sweet potatoes in the refrigerator, as their natural sugars will convert to starch, making them less sweet.